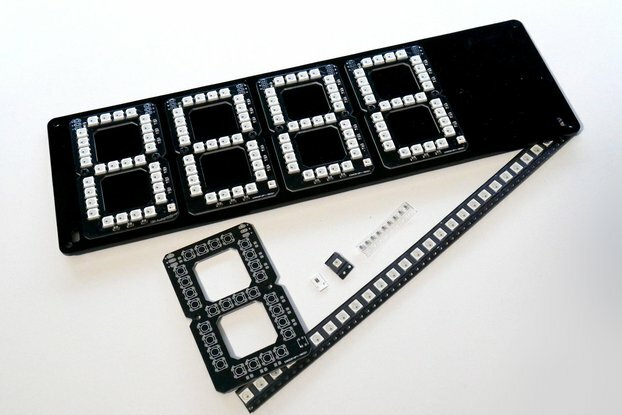 The Laser Segment Display is a futuristic looking lasercut RGB LED segmented display in both 7 and 14 segment varieties that can be chained together for various applications like clocks, signs, counters or whatever your imagination can think up! My initial aim when designing these displays was to take my original Neo7Segment concept and see if I could reduce the number of RGB LEDs on each digit to make them easier/quicker to assemble, and draw less current for larger displays. I've always been a sci-fi fan and love the look of edge lit acrylic, so I decided to use that technique as the bases for each segment and reduce the number of RGB LEDs per segment from four down to one. WHY? 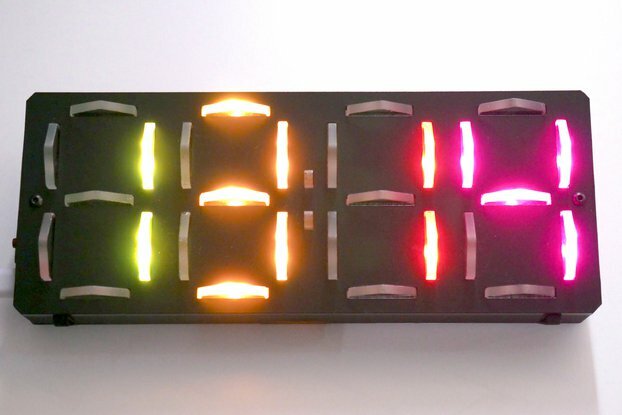 Because I just love segmented displays, and I think the result looks spectacular! 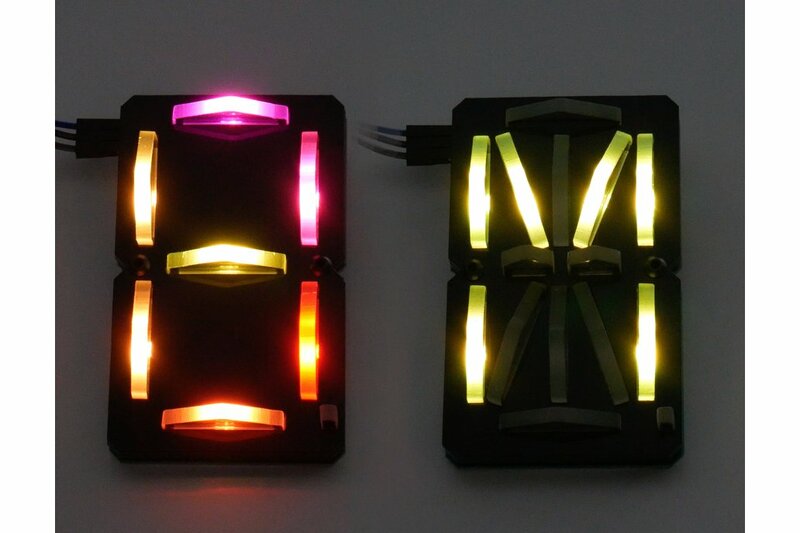 You simply chain them together and control them via any micro-controller just like you would control a strip of RGB LEDs. They just require VCC, GND and Data from a GPIO. The LaserSegment Arduino libraries allow you to simply pass your display a string of text, and have it not only display the text, but animate it's colours in vibrant and exciting ways! 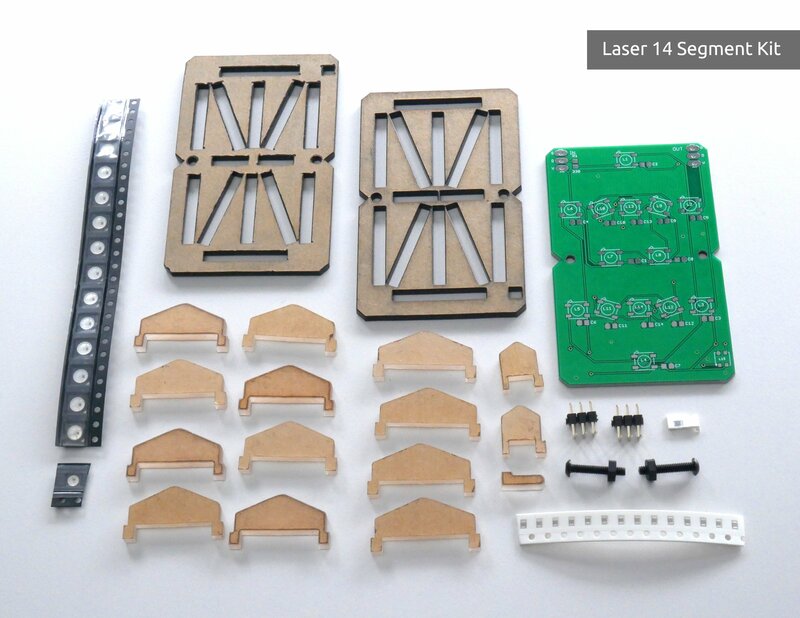 Note: The LaserSegment Arduino libraries require the Adafruit Neopixel library to be installed and the LEDs on the boards are SK6812 RGB LEDs. The Laser 14 Segment display (Also known as the Laser X Segment) can show 58 unique numbers and characters, and as the code is open source, you can easily add more shapes/designs/characters including non-english characters. The laser 7 Segment display can show up to 32 unique numbers and characters, but the same rules apply, you can alter the code to make it show whatever you like! Both kits and pre assembled orders come with all acrylic items un-assembled, with protective paper intact on each side. 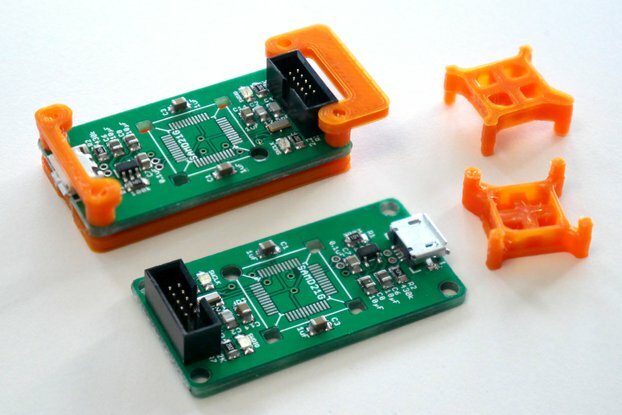 The design of the boards uses wide pad footprints for the SK6812's so that it is possible to solder with an iron, but please remember that the packages are plastic, so they can melt if you get too close with the iron tip. Why do the assembled options not include assembly of the acrylic? 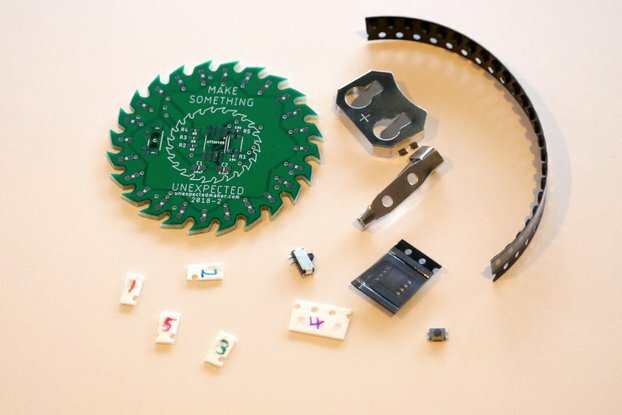 I have made the board designs open hardware, and I have included the EagleCAD files and Gerber files in each of the LaserSegment Github repositories along side their respective libraries. Why are there 2 libraries and not one combined library? That's a great question! I was originally planning a combined library, there just turned out to be too many differences in the data sets between the display types, so it would have means a lot of duplication in the code, and a much larger memory footprint for those wanting to use a smaller 8bit micro-controller, so I decided to keep them split. 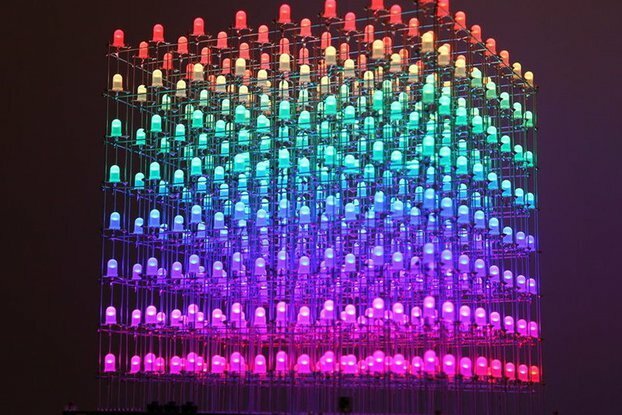 Each RGB LED can draw up to 60mA, so please keep power draw in mind when chaining LaserSgement digits together and using power from a micro-controller. 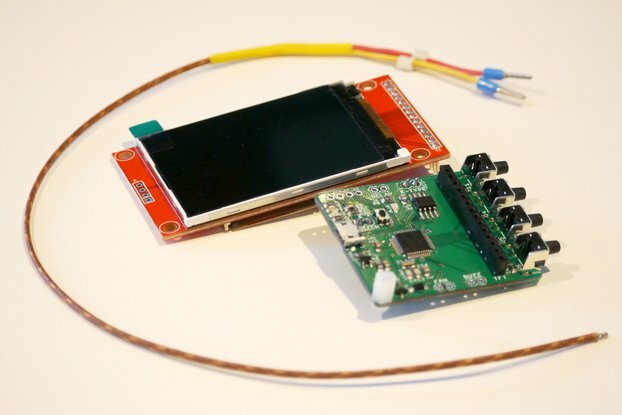 We recommend powering your digits from a seperate power supply capable of delivering 5V and up to 2-3 Amps to ensure no damage is done to your micro-controller. 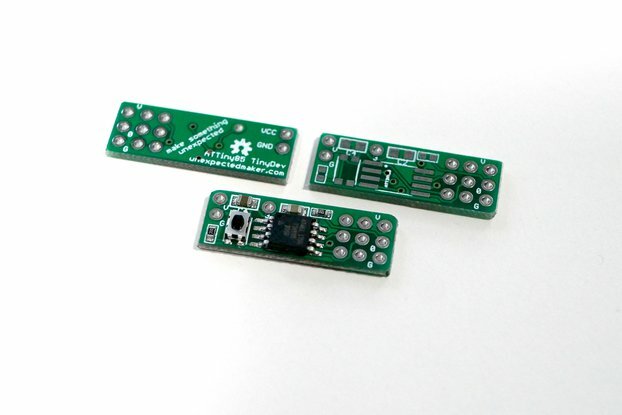 If you are using an external 5V supply and your Micro-Controller uses 3.3V IO, you'll likely need to level shift the data line to ensure consistent operation. This is common with any Neopixel or RGB LED strip. Check out my youtube channel to see the history of the Laser Segment Display as well as lots of other videos about the projects I work on!